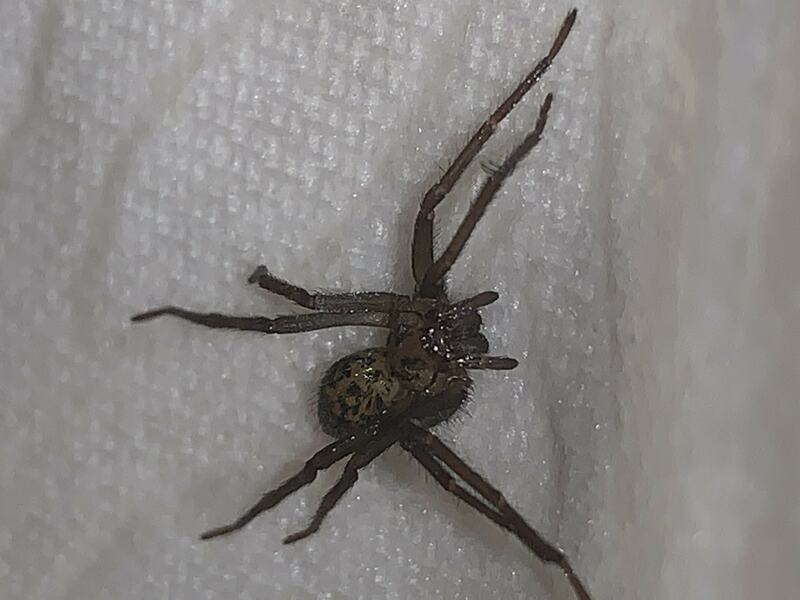 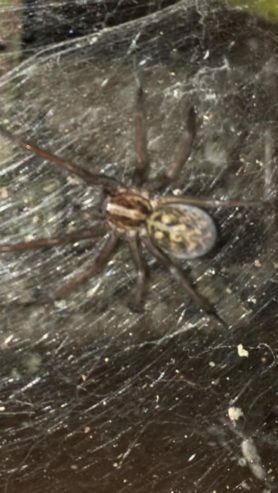 Whaaaat kind of spider is this.?? 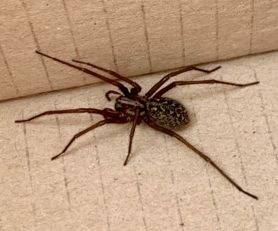 Poor thing, this is a giant house spider, Eratigena duellica species. 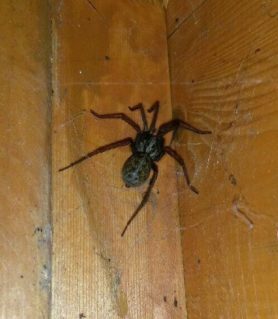 Near as harmless as spiders come. 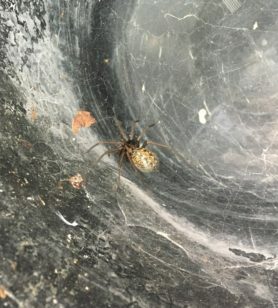 Looks female but not positive.